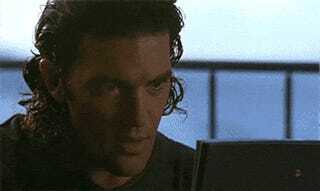 This year's big console launches would have been a lot less fun without NeoGAF's Antonio Banderas fixation. So it's fitting that, with the console now on shelves, a collection of every Banderas gif from the site has been collected and dropped in one handy video. For posterity's sake. Antonio Banderas has finally made it to the big time. Congratulations, Antonio. Best part? Seeing them like this won't crash your browser. There's also an entirely appropriate soundtrack.